Truck Service Depot was born from the ever-present need to improve the service levels within the truck servicing and repair industry. 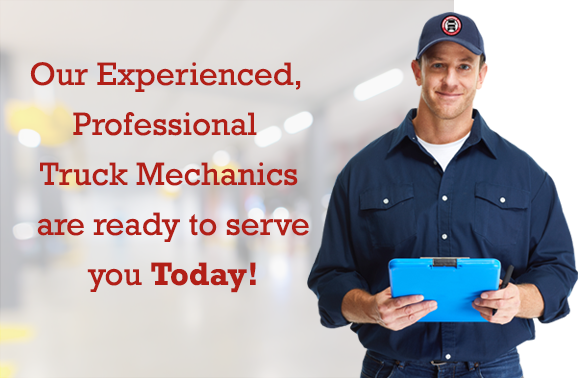 Truck Service Depot is home to the Independent Professional Mechanics. Servicing all makes and models of trucks; including all light, medium, and heavy duty trucks. Whether your single truck or large fleet of trucks or trailers needs preventative maintenance, DPF filter cleaning, alignment service, air conditioning/refrigeration service, major repair, or even full engine rebuilds, we have you covered! Bring your truck by our brand new facility today! Our Professional Technicians will perform your service or repair quickly, while utilizing the industry’s top quality parts.